The client wanted the squirrel to be struggling a bit with the “logo” and we added a bit of a stretch to the “logo” as well. 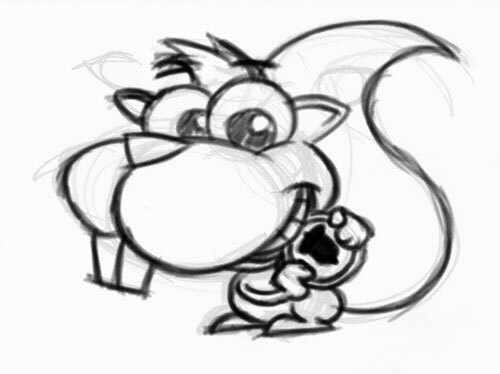 Check out the Acorn Souvenirs squirrel cartoon logo on my portfolio site. It’s been under scrutiny lately for some possibly shady practices. “Gag gifts” are humorous novelty gifts. Thanks for the compliments of the artwork!